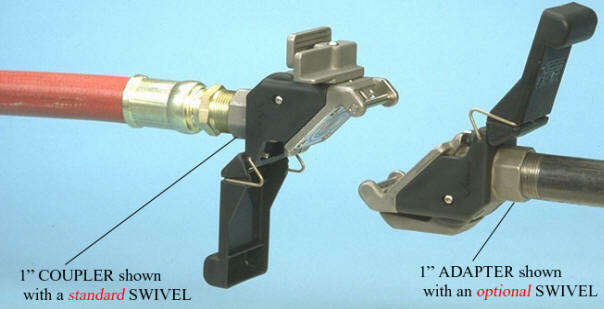 Our customers have long enjoyed the convenience of a standard built-in swivel on our Couplers. Swivels make the job of alignment a snap! Now, we are offering the same convenience of an optional built-in swivel on our Adapters. Please specify the optional swivel in the ordering information.